The door to the nursery was a 6 panel door. I stenciled on the outside of the door. 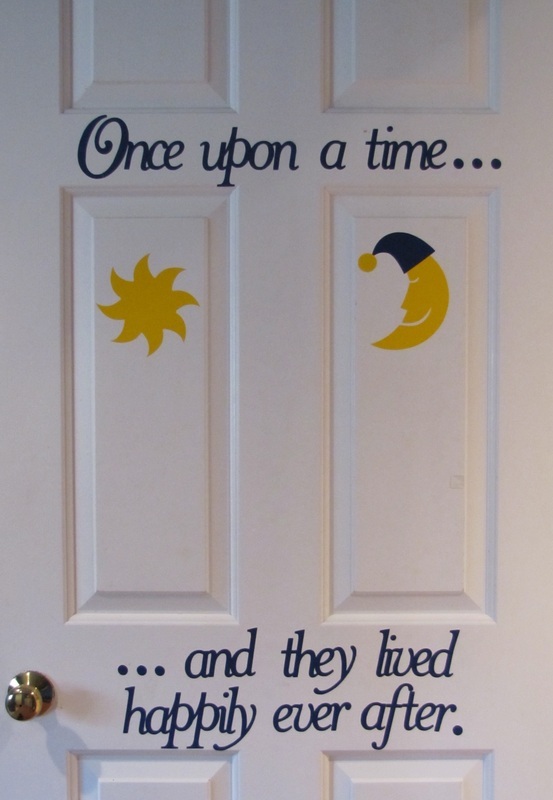 I had a stencil made that said "Once upon a time... ...and they lived happily ever after". The other stencils I used was a sun, moon and stars, and Beatrix Potter. I used acrylic paint. It was very easy to do and I loved it. It was also easy to take off after four years I just wiped off the paint with a damp towel. I was given these calendars as a baby gift. It was a great idea for us because with three you have little time to document those milestones you want to remember. What we did was to attach a calendar at the end of each baby bed along with a pin. It was always avaliable and a reminder to enter events of the day. 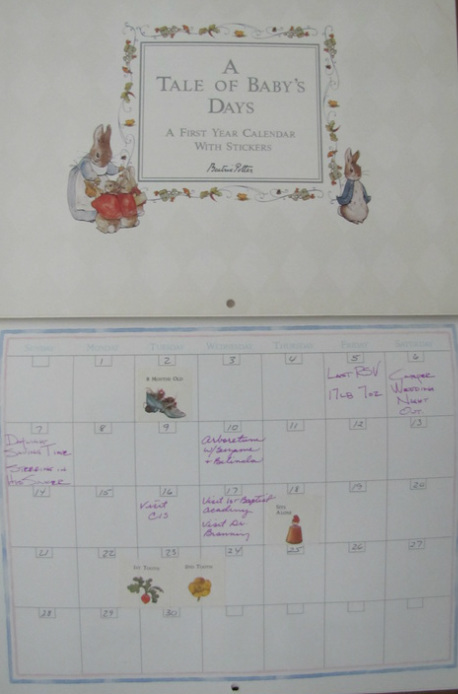 This particular calendar had stickers that marked milestones such as 1st tooth, 2nd tooth, visit to grandmothers etc. It is a great keepsake.